If you knit or crochet then you must be wondering what to do with all that leftover yarn. Well, we have just what you need – 10 awesome ways to use yarn scrap. From tiny butterflies and rabbits to vases, coasters or bookmarks, we are sharing fun and useful ideas that you’ll surely love. So don’t even think about throwing all that leftover yarn. Use it to make something awesome instead. All you need to do is to pick your favorite project and start knitting, crocheting, crafting… There are even projects you can do with your kids! Whatever you choose to make we hope you’ll enjoy it. 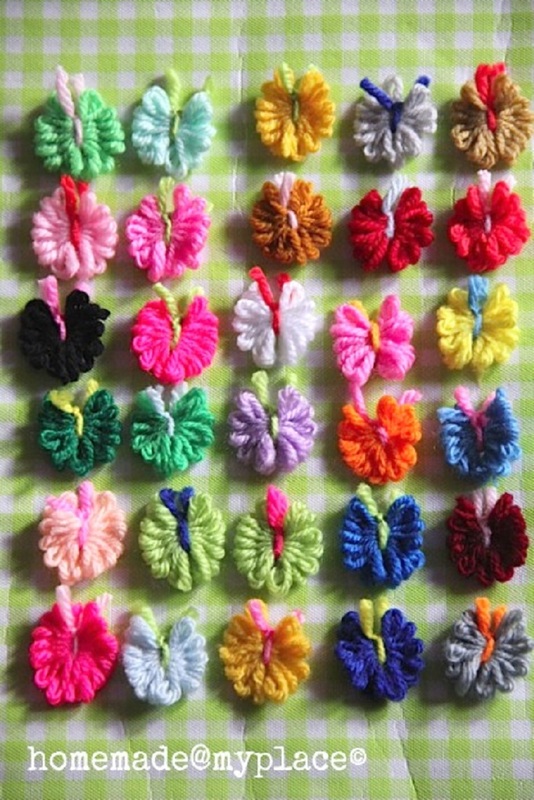 Take a look at these cutest ever mini butterflies made with yarn leftovers! You will need only two things to make them – some yarn and a fork. It is super easy and super fun. You will make tons of them in no time. This is the ultimate inexpensive craft. 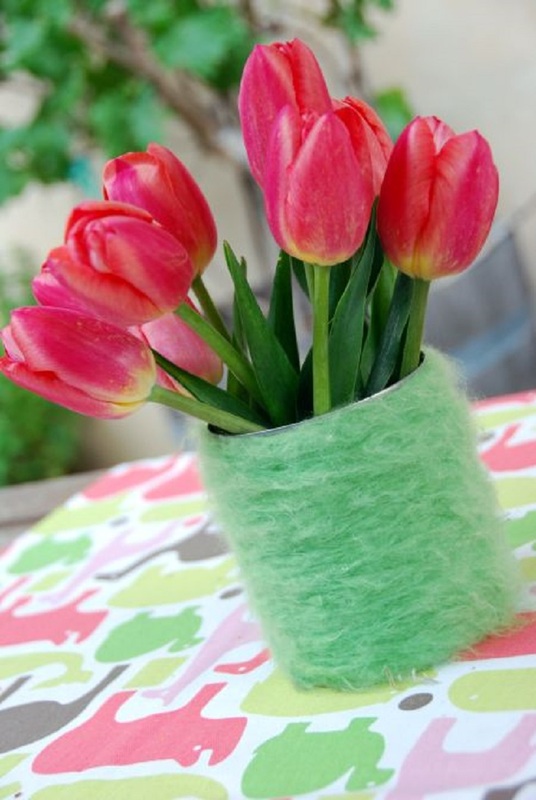 Turn cheap tin cans into beautiful vases by wrapping them with yarn. Fill them with flowers and you will have the ultimate centerpiece. Glue the yarn onto the cans and voila – you are done. This is so easy and budget friendly and such a great way to use all that leftover yarn. 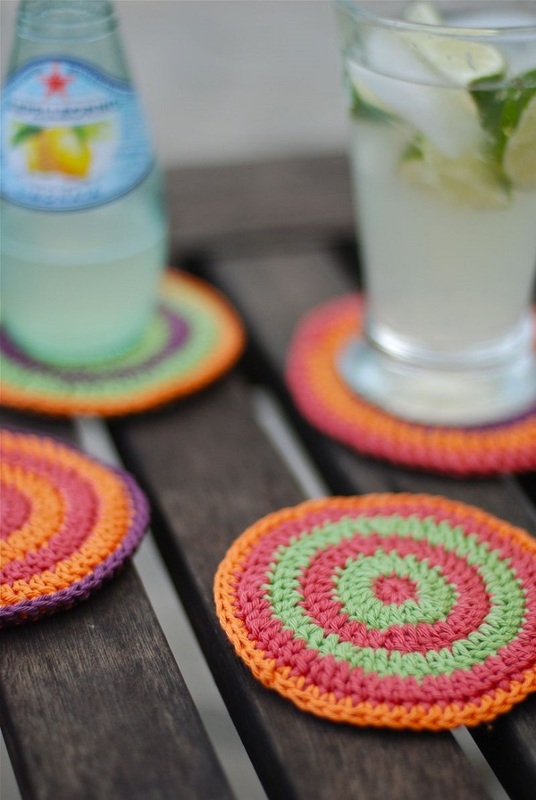 Here is a free pattern for circle coasters made with leftover cotton yarn. They are quick to make and the best thing is you can use yarn scraps to make them. Feel free to make them as colorful as possible as they will be great to use along refreshing cocktails this summer. 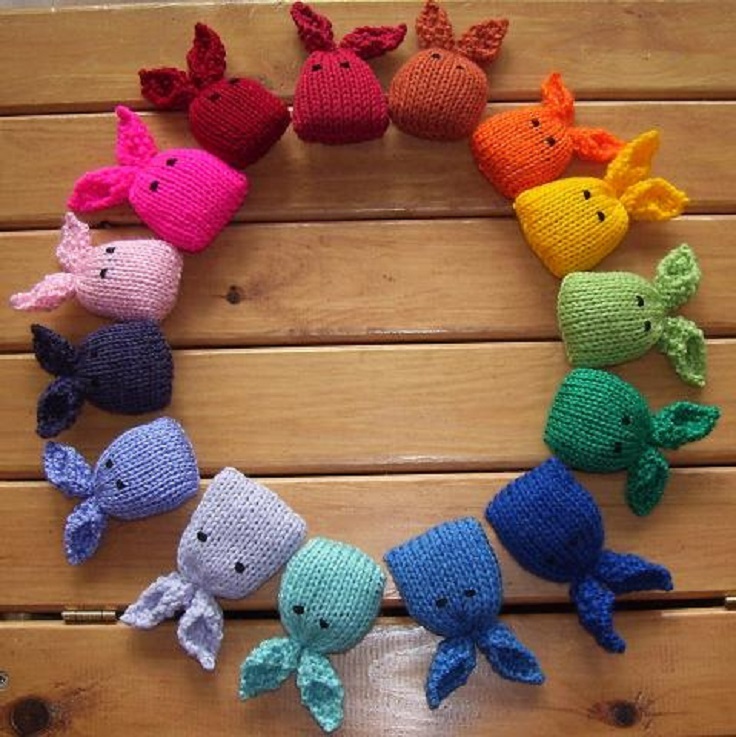 Use yarn leftovers to make these cute bunnies that will make a great treat for your kitty. They are filled with catnip and best part is they are super easy to knit. 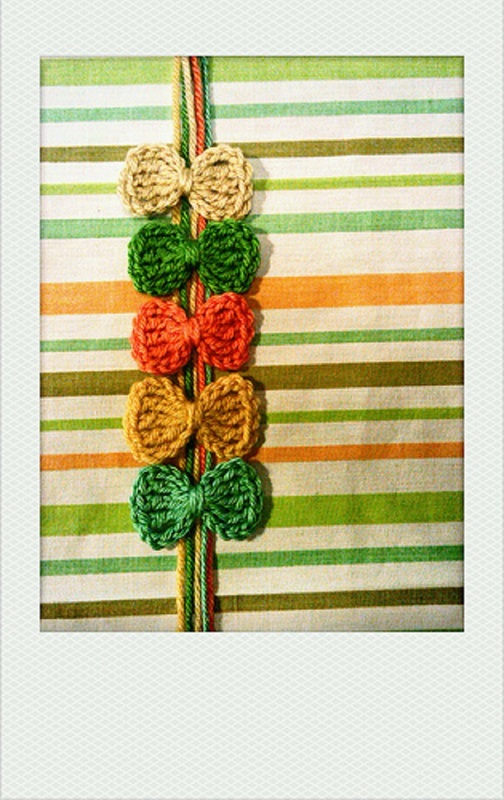 This would also be a great pattern to knit for young children – a string of them as a pram toy, or to learn colors etc. 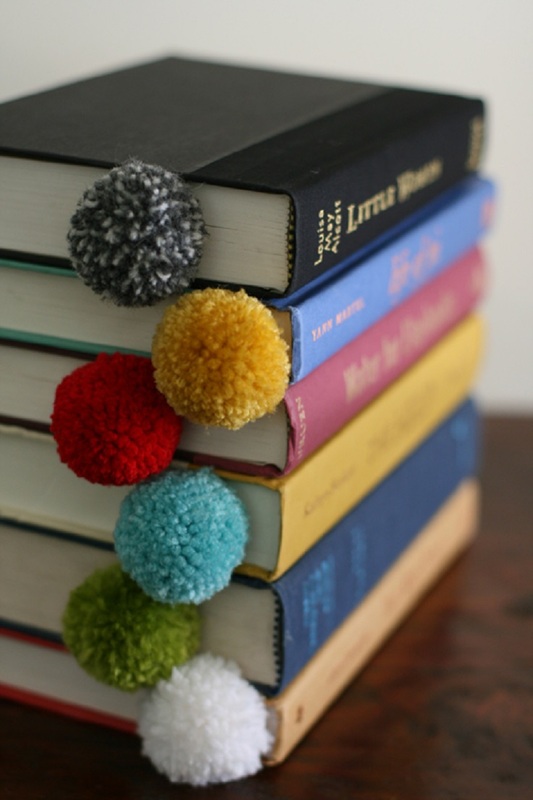 This pompom bookmark makes a great gift for all book lovers. You can make it out of yarn scrap. It’s affordable, easy to make, and turns out a fluffy ball of cuteness. The only 2 things you’ll need are yarn and scissors. They are so easy to make that even kids can do it. When you have some yarn leftovers on hand crochet these beautiful little bows you can then use as appliques or hairbows. The free pattern is included and it is suitable for beginners. You can create different shapes by varying the number of tr stitches. 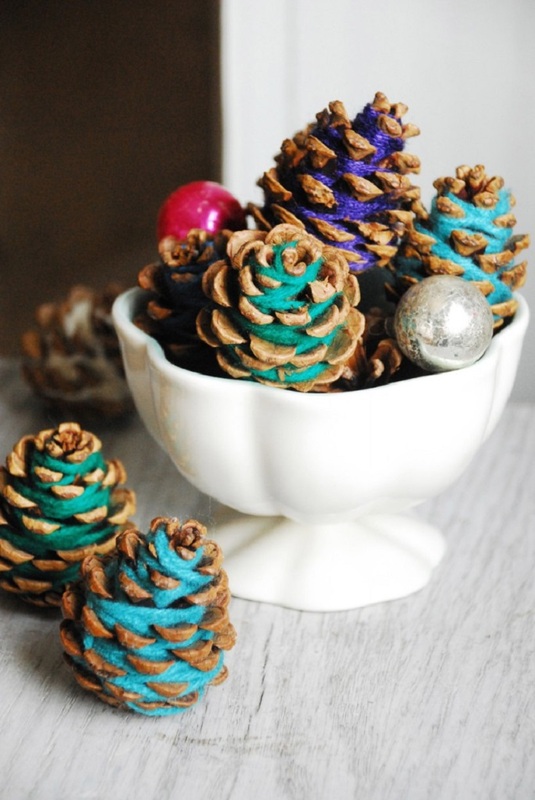 Make these cuties by wrapping leftover yarn over pine cones. Start at the base and wrap yarn around cone, pull yarn deep into the crevices. The tighter part of the pine cone will hold the yarn in place, no need for glue. The yarn pine cones make a great gift topper or decoration. You will love this free pattern for crocheted hanger covers. Especially because you can use yarn scraps and you can crochet them even if you are a beginner. 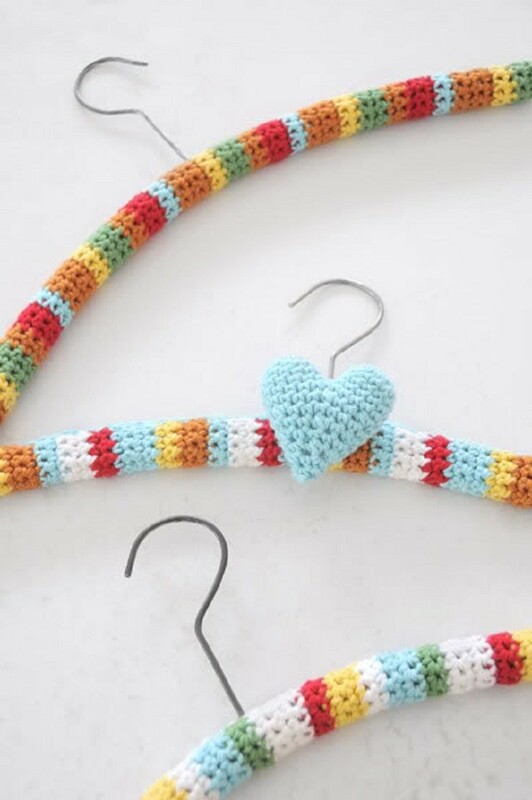 Buy some simple cheap hangers and make them look adorable with these crocheted covers. 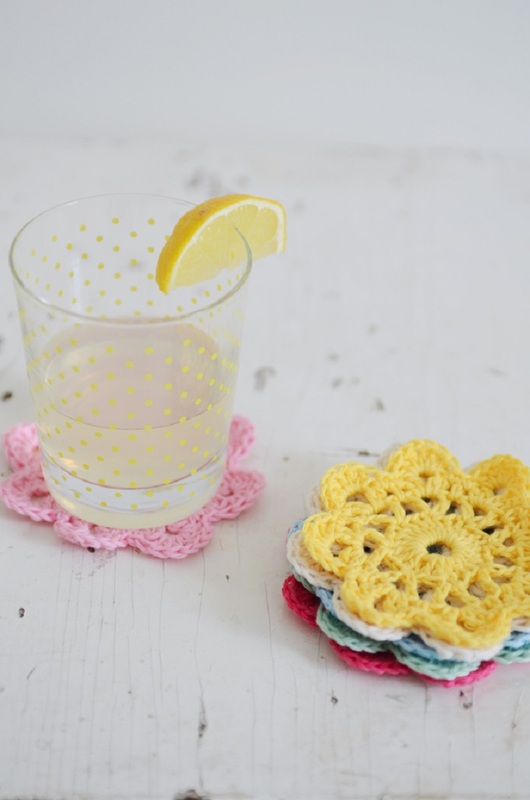 Use leftover yarn to make these spring inspired flower coasters. We are sharing a free pattern that is easy enough even for a beginner. Perfect to serve with homemade lemonade and a stripy straw for pure perfection. 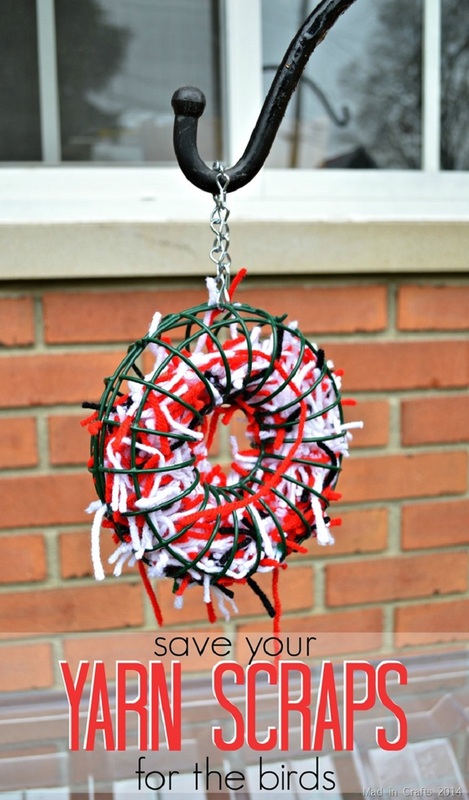 This is such a great way to use yarn scraps. Yarn scraps are great bird nest material, just make sure there aren’t any scraps longer than 8 inches as they can pose a threat to the bird. We warmly recommend you make these bird nesting station. The pleasure of watching a couple of birds make a nest right outside your window is priceless.